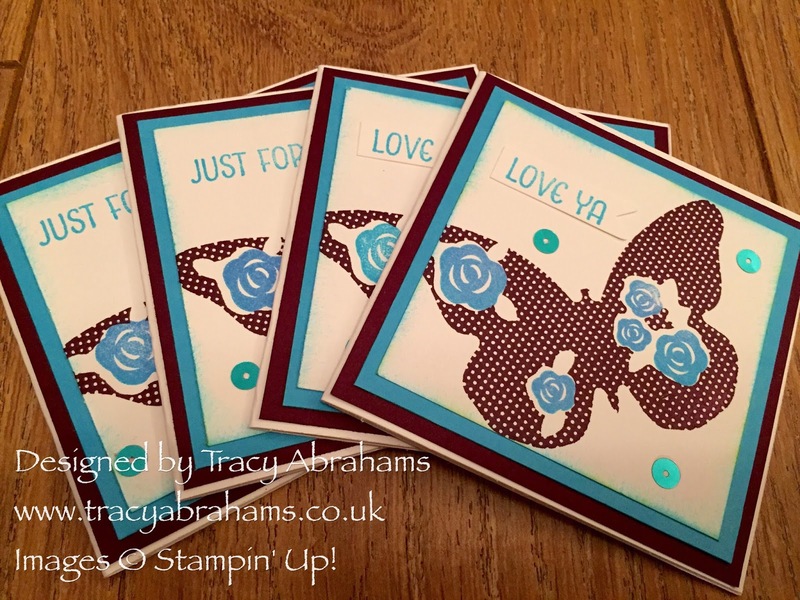 Tin Of Cards Project Kit by Stampin' Up! 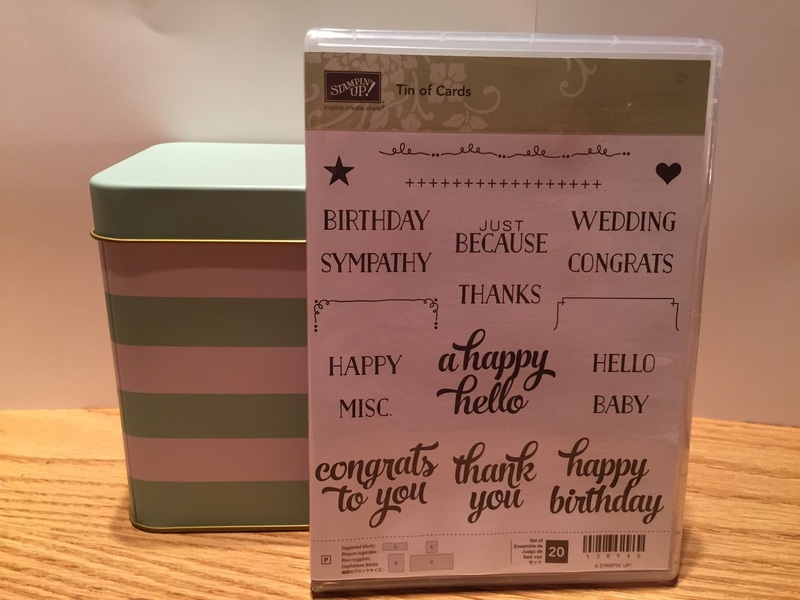 At my monthly Stampin' Up class we used the lovely Tin Of Cards Project kit. 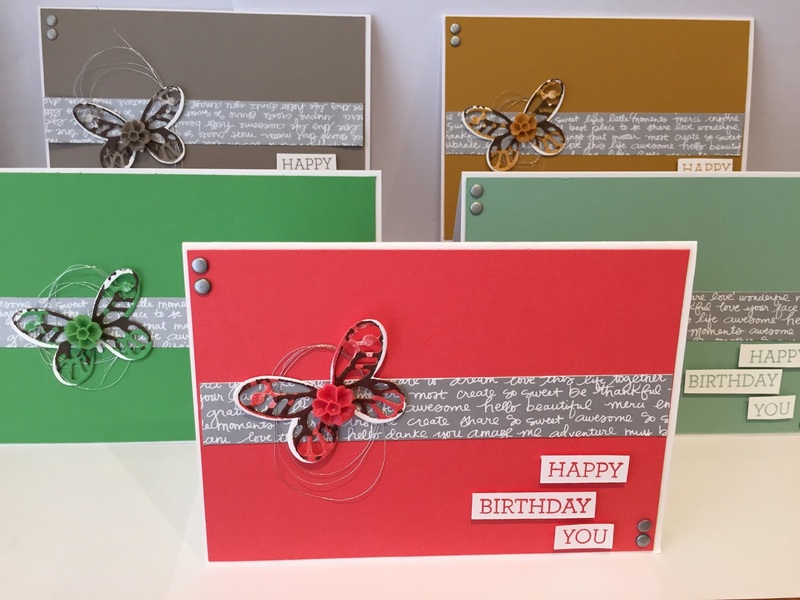 It's such a lovely kits which makes 16 beautiful cards 4 each of 4 designs. You also get a super cute tin to store all the cards in and 10 dividers so you can divide all your cards into sections and keep them neat and tidy for when you're ready to use them. We used the Tin of Cards Stamp Set which coordinates beautifully with the project and some ink pads to coordinate with the colours of the cards. We also used Jet Black StazOn (which we found very good with the wood embellishments) and some Memento ink for some of the sentiments. 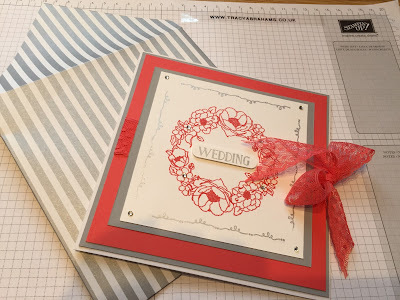 This is such a fun kit to do and everyone at the class came away with 16 great all occasion cards. This is a full project which will take about 2.30 - 3 hours to complete but it was well worth it and all the ladies at my class thoroughly enjoyed it. If you would like to make this project the items used are listed below. I always love to send my customers a thank you card and if you use my August Code Club No M9UAPMBT when you check out, you will receive a special gift at the end of the month. Please tick the I would like contact section so I have your address to send the gift out to. Gift Bag Punch Board From Stampin' Up! 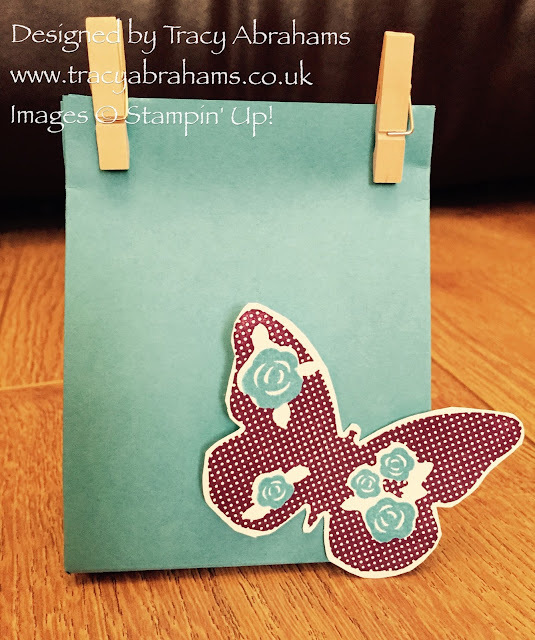 Ohh I do love the Gift Bag Punch Board from Stampin' Up! It's so easy to use and makes such lovely gift bags. I have lots of birthday's coming up this month so instead of buying gift bags I just got out my Gift Bag Punch Board and made these cute little bags in super quick time. The board makes bags 5.1cm deep to 9.2cm wide, and from 10.2cm to 25.4cm tall. You just trim the paper to the size you want, then line up the paper, punch and score the sides, cut the tab edges at the angle, fold the bag on the score lines to create the bag and your done. It even has a hole punch option at the top of the board so you can punch holes to thread your ribbon through. I've put some Stampin' Up mini clothes pins on these aren't they lovely. I have included all the items used below for you to see if you would like anything. Male Card Using The Hardwood Background Stamp by Stampin' Up! I've made this lovely card using the great background stamp Hardwood by Stampin' Up! 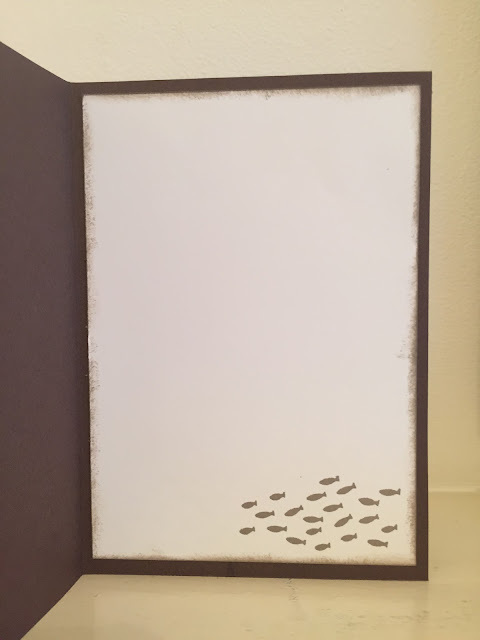 I used the background stamp to make the front of the card which I stamped in Tip Top Taupe. I cut out a circle with the 2" circle punch to make a window effect in the paper. 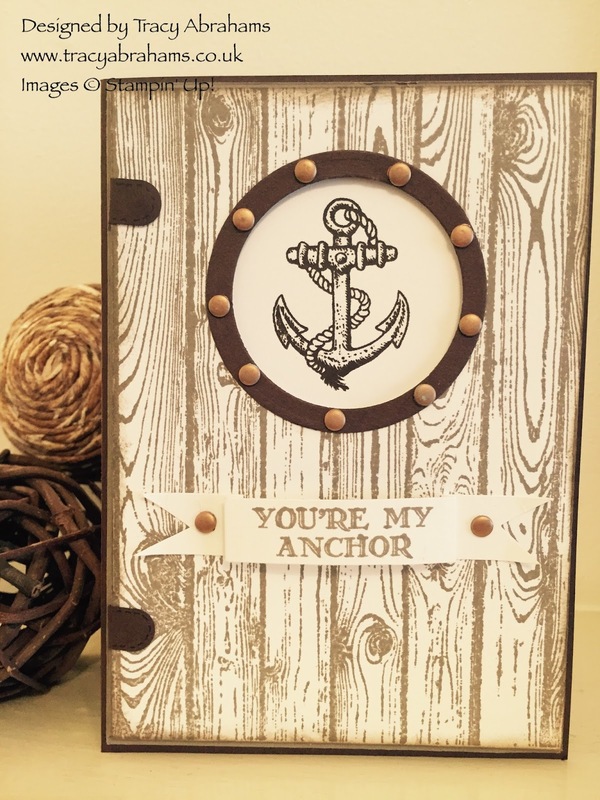 I stamped the anchor from the lovely Guy Greetings stamp set on whisper white paper and placed it behind the window. I used the Circles Collections Framelits to make the window rim and candy dots as they looked like little rivets very cute I think. The little door hinges are made with the Word Window Punch and just folded under the top layer of paper. The sentiment is also from the Guy Greetings stamp set. I love this set it's so useful for male cards. The inside of the card is stamped with little fishes and is from the Sea Street stamp set. I really love the way this card turned out hope you do to. I have included all the items used on a table below so if you would like to buy anything it's all there to help you. 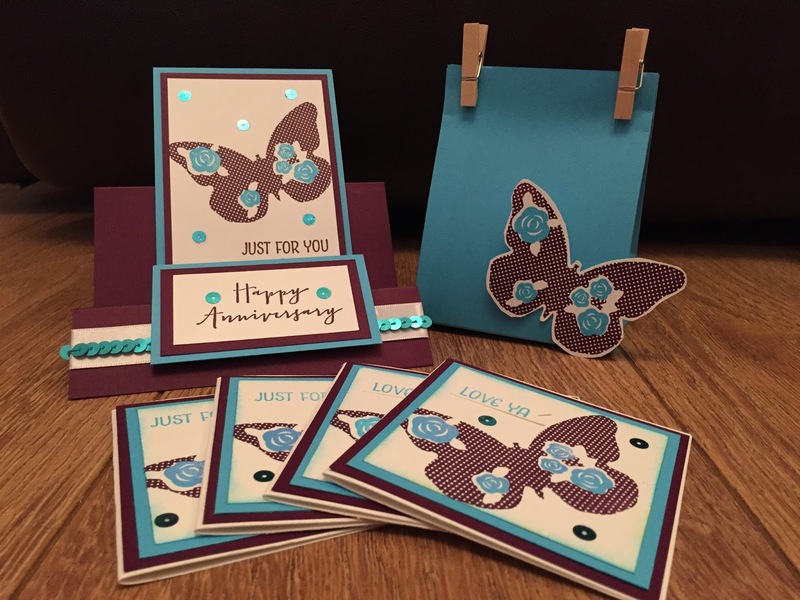 Happy Anniversary Gift with Floral Wings by Stampin' Up! Anniversary presents ..... what to give? 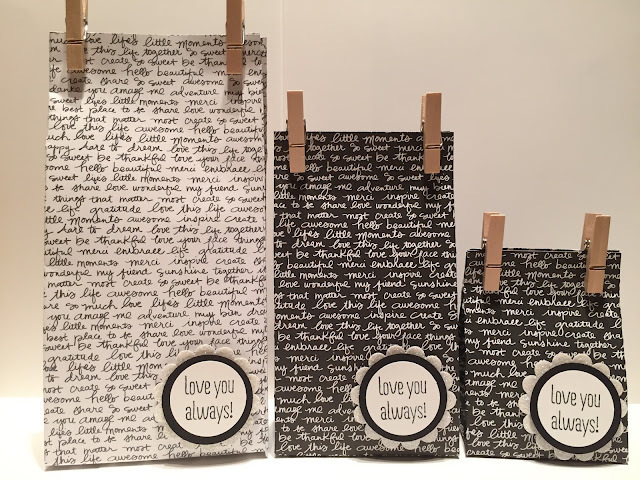 How about a cute little note card and bag set using Stampin' Up! Hostess set Floral Wings!!! I made this cute Anniversary Card, note cards and gift bag using the hostess set Floral Wings, some Blackberry Bliss, such a lush colour and Tempting Turquoise. I made the anniversary card a little different this time by folding and scoring to give me a card that allowed the sentiment and the butterfly section to stand up. I used a 9" x 6" piece of paper and scored at 3" 6" and 7.5" and then folded it, remembering to only put dimensionals on the bottom half of the sentiment when you stick it down so it can fold properly. The little note cards are 3.6/8 x 3.6/8 for the card base and the mat and layer of blackberry bliss and tempting turquoise are cut getting smaller by 2/8 all the way round each time 3.4/8 then 3.2/8 and so on. The sentiments in the set are so lovely you have a choice of LOVE YA and JUST FOR YOU so I did two cards of each and used the JUST FOR YOU sentiment on the anniversary card. The bag is made in tempting turquoise with a new favourite tool of mine the Gift Bag Punch Board and once you get the hang of it, it's so lovely to use and every little gift can have its own bag. I love the little clothespins (pegs) on the bag, don't they look sweet. The butterfly on the bag I fussy card all the way round but it was very easy to do. I always love to send my customers a thank you card and if you use my August Code Club No M9UAPMBT when you check out, I send you a gift at the end of the month. Please tick the I would like contact section so I have your address to send the gift out to. Super Wedding Card using Timeless Love by Stampin' Up! 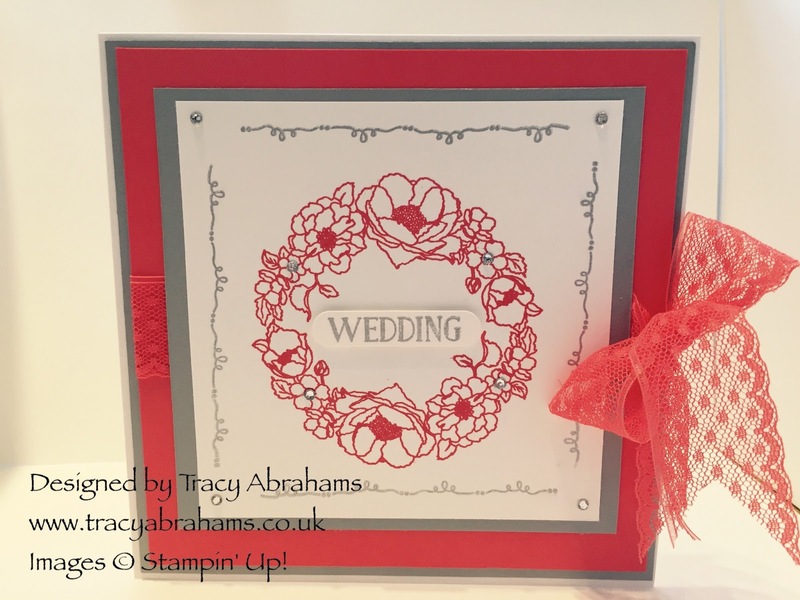 I wanted to make a super quick wedding card for a friend and used the Timeless Love and Tin of Cards stamp sets by Stampin' Up! I made the card in a super quick 10 minutes using the lovely Timeless Love and Tin of Cards Stamp Sets. 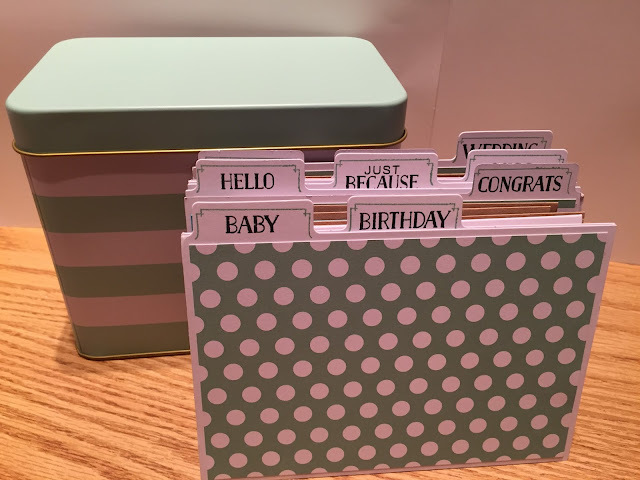 I wanted something lovely to put it in so I made her a fabulous matching envelope using Neutrals Designer Series Paper Stack and the Envelope Punch Board. I think she's going to love it. If you like the products I've used and want to make the same card the products are listed below. Press on any item and it will take you straight to my online shop, have fun. I always love to send my customers a thank you card and if you use my monthly hostess code of M9UAPMBT I send you out a gift and a card at the end of the month. Please tick the I would like contact section so I have your address to send the gift out to. I had a friends birthday recently and thought I would make a gift using Stampin' Up! in color paper. 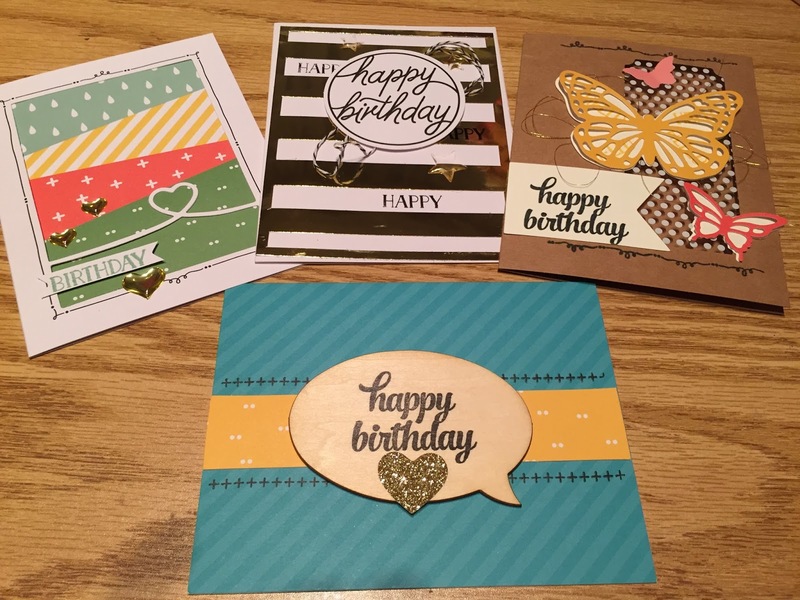 I set about making the cards using the in color card stock, neutrals dsp and these great little butterflies stamped with Watercolor Wings and die cut using the Bold Butterfly framelits. I popped a strip of the new Neutrals Dps accross the front, don't you just love the little script on this paper it's so cute and comes in silver and gold. I used another of my favourite sentiment sets Crazy about You to make the cute greetings. I placed some Silver Metallic Thread under the butterfly and stuck with a glue dot a coordinating Blossom Accent on top of each butterfly. I love making little hand made gifts as it gives people such pleasure to have something you've taken the time to make yourself. I hope you enjoyed my project for today and I have added the list of items used below if you fancy taking a look. I always send my customers a thank you card and if you use my monthly hostess code of M9UAPMBT I will send you out a gift and a card at the end of the month. Please tick the I would like contact section so I have your address to send the gift out to.